Atlas First Aid and Safety is based in Cleveland Ohio and serves the Northern Ohio Area. Looking for First Aid Supplies for your workplace? 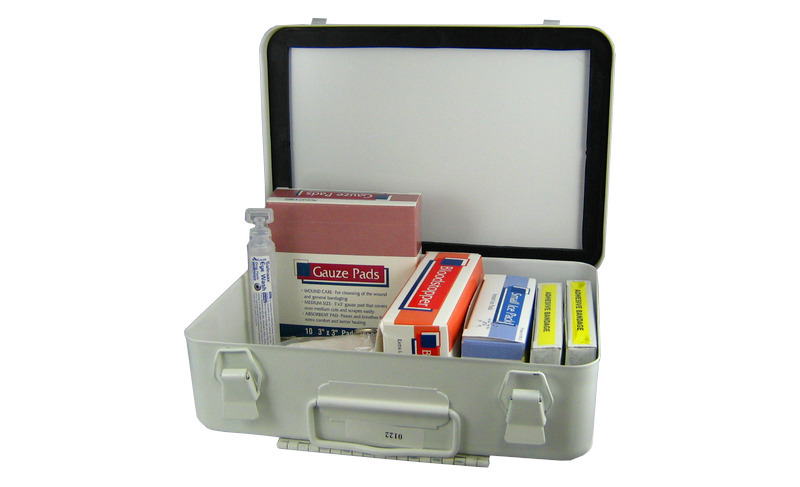 We provide fully stocked Industrial First Aid Kits, First Responder Bags, Vehicle Kits, heavy weight bandages, creams and ointments, pain medicines, instant ice packs, eye and hearing protection and more for your workplace. A friendly Atlas First Aid representative will regularly inventory and stock your first aid kit to make sure you have the products that you need when you need them. Compliance is our priority. 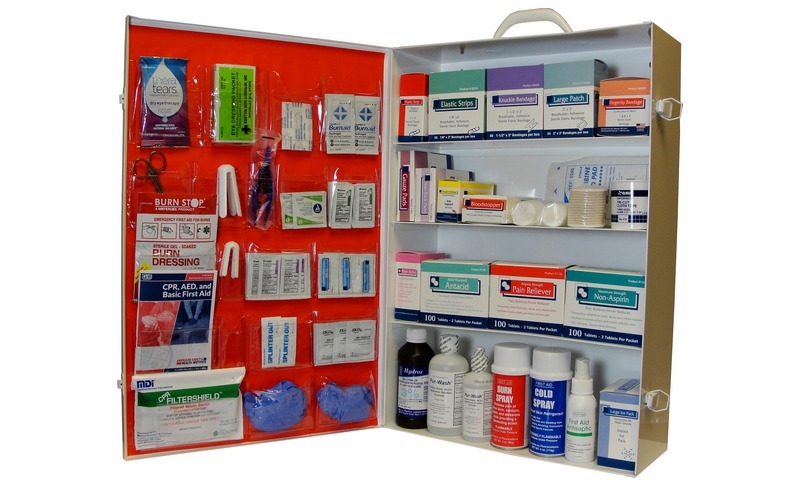 Our first aid cabinets meet OSHA guidlines and standards. We can help your company provide the proper first aid supplies for your employees. Our dedicated service representative will listen to your needs and requirements to provide a solution that fits your business. No need to constantly check your supplies. We will inventory your first aid supplies and restock just what is needed. Atlas First Aid is a local company with over 20 years of experience serving the Northern Ohio area.